Hey Subaru WRX fans, they really did listen to you. The '09 version brings back all the things you loved from '07 (insane thrust, entertaining handling), plus the positive updates gained in '08 (refined ride, hugely improved interior). When weighed against other enthusiastic all-wheel-drive sports sedans, the 2009 Subaru Impreza WRX deserves strong consideration, especially given its stellar active and passive safety. The 2009 Subaru Impreza WRX is a niche model that won't appeal to everyone; it's extremely entertaining, remarkably comfortable, and very safe, but might disappoint those who value refinement and frugality for the daily grind. Expert reviewers at TheCarConnection.com consulted what the most authoritative auto critics have written about the 2009 Subaru Impreza WRX to produce this conclusive review. TheCarConnection.com editors also drove the Subaru Impreza WRX, and its high-performance variant, the WRX STI in order to interweave their expert opinion and help you make the right decision on a new vehicle. The 2009 Subaru Impreza WRX has been substantially fortified after rally fans cried foul with the release of the '08 redesign. The '08 had morphed into a cushy GT with not particularly impressive power or traction; the '09 gains 41 horsepower, wider wheels/tires, and some stout anti-roll bars to right those wrongs. 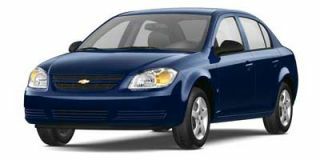 The '08 redesign's bonuses are still there: hugely improved interior feel and style, and a ride that magically blends comfort with tenacious handling. Styling on the 2009 Subaru Impreza WRX sedan is ho-hum; the hatchback speaks to the sporty rally history with more cohesion. Still, with each successive redesign, the WRX seems to stray further from its angry, purposeful origins and closer to the amorphous world of the kinda-cute, kinda-ugly small car. A mammoth (but blessedly functional) hood scoop signals the insane levels of boost and thrust this little rocket contains, but it flutters curiously at speed. Just one engine powers the Subaru Impreza WRX: the trademark horizontally opposed (flat) four-cylinder. At 2.5 liters and with 16 valves and dual overhead cams, the engine features a larger turbo for '09 that huffs out an additional 41 horses for a total of 265 hp. Alas, bigger turbos take longer to spool up, and as such, the engine can feel a bit lifeless below 3,500 rpm. Above that speed, however, the engine will happily shove your cheeks back to your ears. Thankfully, only a five-speed manual transmission is offered, a good ally to keep the engine on boost. Fuel economy is a little disappointing for a small car. The 2009 WRX tops out at 25 mpg highway in the mileage game and is rated at only 18 mpg in the city. Also, while some of our testers like the smoothly thrumming four (the boxer four lacks much of the vibration inherent in an inline-four layout) and its low, growling sound, it is not a quiet engine by any means. It becomes increasingly vocal when you keep it in the boost. Enthusiasts will love all of the mechanical whirring; commuters might soon grow weary. Scoring a coup in the refinement department, however, is the suspension. Despite thicker anti-roll bars for 2009 that work wonders with the tight, direct steering and low-profile tires, this Subaru soaks up bumps, ruts, potholes, and coarse surfaces with nonchalance. The ride is beautifully smooth and isolated; the handling wonderfully direct and taut. As well, it's nice and quiet inside apart from some wind rush around the A-pillars. Watch the speedo and rearview carefully; 90 mph feels and sounds like 65 in the 2009 Subaru WRX. Someone's been taking notes from BMW. The 2009 Subaru WRX STI is an even meaner animal, with an especially edgy, high-performance demeanor. It gets a high-boost, 305-horsepower version of the 2.5-liter and is only offered with the six-speed manual, plus a number of suspension and chassis improvements that make it a hoot to drive on racetracks or curvy mountain roads. Unfortunately the STi has quite a bit more road noise and a rather jittery ride; it's just refined enough for enthusiasts to drive daily. Front and center in the instrument cluster is the large tachometer; it's flanked on the right by a smaller speedo in Porsche fashion. All gauges are clearly marked and readable in an instant; none of the boy-racer silliness from past versions (or econ-car cheapness) makes its way past the '08 Impreza interior redesign. Race-style seats are very supportive and quite comfortable in the front. The only nit we picked was an odd fixed headrest (the entire seatback is just one long piece) that canted some tester's heads uncomfortably forward. The rear compartment is happily much bigger than the car's tidy exterior dimensions suggest. Headroom back there, a sore spot for most small and even mid-size sedans, is fantastic even for those unusually long in the torso. Trunk space is middling at 11.3 cubic feet, and fold-down functionality for both sides makes it a cinch to tote the skis and snowboards the 2009 Subaru Impreza WRX is sure to carry. For both style and practicality, we think the hatchback's the way to go. You can easily hook up your iPod to the WRX radio's auxiliary port, though true USB compatibility is a stand-alone option for a reasonable (and worthwhile) $159.95. The Premium package brings, among other niceties, a ten-speaker surround sound system (a navigation-and-satellite-radio unit is optional). Six speakers power the base system, and a subwoofer is optional for both radios if you gotta have more thump. The National Highway Traffic Safety Administration (NHTSA) gives the Impreza, upon which the 2009 WRX is built, a perfect five-star rating for front and driver side impact protection and four stars in all other categories; the Insurance Institute for Highway Safety (IIHS) rates it "good" in front crash-test protection and ranks it a Top Safety Pick for the category. All told, this vehicle is one of the safest in its class. Standard anti-lock brakes, all-wheel drive, acceleration to escape dicey situations, and confidence-inspiring handling make the WRX less likely to experience an accident to begin with. Not everyone who approaches a 2009 Subaru Impreza WRX will be drawn to the exterior, but it's a pretty safe bet that the interior will leave a positive impression. Subaru has always carved its own path when it comes to styling, and the exterior of the 2009 Subaru Impreza WRX is just as polarizing as its predecessors. 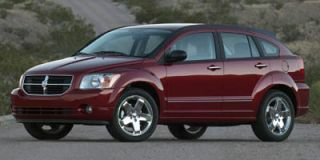 However, TheCarConnection.com's research shows that the interior of Subaru Impreza WRX, which was redesigned in 2008, is a runaway success. The 2009 Subaru Impreza WRX is available in either sedan or hatchback body styles, while the lightning-quick Subaru Impreza WRX STi comes exclusively as a hatchback. Reviews of the sedan are mediocre, as Edmunds remarks that, "from the rear doors back, the styling screams econobox, with homely taillights" and a wealth of uninspiring trim elements. 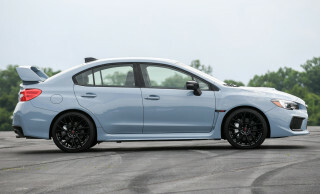 The hatchback, however, is a different story entirely—Jalopnik reviewers say that the Subaru Impreza WRX "STi isn't what you'd call traditionally handsome," but they praise its "air of purposeful muscularity," which is enhanced by the "wildly flared arches, huge hood scoop and restrained rear wing." In a nod to the unorthodox styling, Car and Driver notes that the Subaru Impreza WRX features "love-it-or-hate-it styling," and Jalopnik laments that "the controversial looks will keep it from mass-market acceptance." The 2009 Subaru Impreza WRX hatchback features a few styling changes for 2009, which Cars.com details as "an Aero Package featuring an STi-type grille with a WRX badge," while the sedan gets "new tailpipe tips." The inside of the 2009 Subaru Impreza WRX is a vast improvement over the rather Spartan interior that characterized previous versions of the Impreza lineup. Jalopnik calls the "swoopy and odd" interior "positively refreshing," while Edmunds raves that the "legible gauges remained so in practically any lighting situation, with a simple layout centering the large tachometer prominently behind the steering wheel." For those Subaru Impreza WRX STi models equipped with the optional navigation system, ConsumerGuide attests that "the navigation system itself is easy to negotiate," which is more than can be said for some competitors. A much-improved engine and revised handling setup means that the 2009 Subaru Impreza WRX is, once again, a true enthusiast vehicle. 2008 was a major disappointment for Subaru Impreza WRX fans, as the WRX lineup lost some of its enthusiast appeal and was refocused toward general buyers. A loud chorus of complaints from WRX fans led Subaru to rethink the 2009 Subaru Impreza WRX, and the result is a much more WRX-like, and significantly more capable, hatchback and sedan lineup. The 2009 Subaru Impreza WRX is much more powerful than last year's model, which Edmunds reviewers attribute to "a larger, STi-based turbocharger, wider-diameter exhaust and less restrictive catalytic converter." The total power boost, according to Edmunds, is "a welcome 18 percent gain in horsepower." Cars.com reports that the engine on the Subaru Impreza WRX is a "265-hp, turbocharged 2.5-liter four-cylinder with 244 pounds-feet of torque," and reviews read by TheCarConnection.com simply rave about this new powerplant. 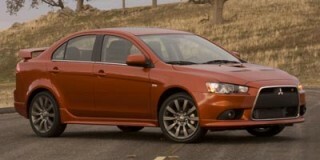 Meanwhile, the Subaru Impreza WRX STi gets a "305-hp, 2.5-liter H-4," according to Cars.com. Reviewers point out that both engines need to be revved hard to get solid power, with Jalopnik warning that "below 4,000rpm, you've got nothing, but above that it flies." Car and Driver agrees, noting that, "for max power, the revs need to be above 4000 rpm." Zero-to-60 mph times for the 2009 Subaru Impreza WRX are rather impressive, all things considered—Motor Trend states that "sixty mph comes in 4.8 sec, and the five-door, five-passenger hatchback we tested covered a quarter mile in 13.5 sec at 101.1 mph." The Subaru Impreza WRX STi is slightly quicker on both counts, thanks to its extra 40 horsepower. While the engines that underpin the 2009 Subaru Impreza WRX lineup's performance numbers earn high marks for their high-rev performance, some reviewers find fault with the transmission. The only available transmission on the Subaru Impreza WRX is a five-speed manual, while Cars.com points out that the Subaru Impreza WRX STi is available exclusively with a "six-speed manual w/OD." Jalopnik reviewers report that the transmission is "notchy, requiring a firm, accurate throw," although the "clutch is surprisingly light." Motor Trend laments that "the biggest—some might say only—shortcoming is the shift linkage, which feels the same as last year" for the regular Subaru Impreza WRX, although ConsumerGuide praises the Subaru Impreza WRX STi for the fact that "its shift and clutch action are smooth and precise." One of Subaru's corporate trademarks is the fact that all-wheel drive comes standard on every model. This feature, part of Subaru's rally-racing heritage, is great for handling and overall performance but takes its toll on fuel economy. Car and Driver warns Subaru Impreza WRX STi owners to expect "frequent fill-ups," and regular WRX owners don't have it much better. According to the official EPA estimates, the Subaru Impreza WRX should return 18 mpg city and 25 mpg highway, while the Subaru Impreza WRX STi gets just 17 mpg city and 23 mpg highway. The handling of last year’s WRX was heavily criticized for sacrificing too much for the sake of ride comfort. Fortunately, that also has been corrected this year, as Edmunds reviewers point out that "beefed-up spring rates and stabilizer bars help the 2009 Subaru WRX correct last year's mushy and uninspiring handling." Jalopnik reports that these performance imports are "ultimately extremely capable, but pushing it hard initially requires an unnatural level of trust as the chassis lacks that nth degree of feedback." Edmunds also remarks that the 2009 Subaru Impreza WRX's "steering, while precise, could stand to gain a bit more resistance and feedback." Ride quality isn't great, but Cars.com does note that the Subaru Impreza WRX "offers better everyday livability than Mazda's performance hatch," although ConsumerGuide mentions that the "STi is expectedly stiff and occasionally jarring over bumps." When it comes time to stop, few cars do it better than the Subaru Impreza WRX lineup—ConsumerGuide says that "stopping control is very good on all models," while Jalopnik refers to the brakes as "competent and confidence inspiring." The 2009 Subaru Impreza WRX's seats are comfortable enough for an all-day drive, but the sedan's limited cargo space might prove annoying. The 2009 Subaru Impreza WRX lineup impresses with its versatility and passenger room, but some reviews read by TheCarConnection.com still point out materials quality issues. Aside from passenger space, the 2009 Subaru Impreza WRX boasts a respectable amount of usable cargo room—on the hatchbacks, at least. Car and Driver is quick to point out that the Subaru Impreza WRX STi is "a practical hatchback packed in flaring fenders," with Cars.com mentioning the available "19 cubic feet" of cargo space, which is "competitive with the competition." However, for those opting for the conservatively styled Subaru Impreza WRX sedan, Edmunds warns that, "in terms of cargo space, the WRX comes up short—not just because of the fairly small trunk (10 cubic feet), but due to an uneven and sloped floor." In addition to the rear storage space, both versions of the Subaru Impreza WRX offer a small amount of interior storage, although ConsumerGuide notes that "interior storage is poor with a small center console and just average glovebox and door map pockets." One area where Subaru has traditionally trailed its competitors is in terms of materials quality. When Subaru redesigned the WRX for 2008, materials were a major area of improvement, and that generally carries through onto the new 2009 Subaru Impreza WRX. While most reviewers appreciate the step up in quality, Edmunds cautions, "Upon closer inspection, the plastic surfaces (which have the appearance of softer-touch materials) are actually textured hard plastic that seems to amplify the relatively low amount of road noise." Cars.com also reports that the Subaru Impreza WRX STi and regular WRX feature "relatively Spartan cabins with decent but not great materials quality." Finally, ConsumerGuide points out that "while the materials look nice and show good assembly quality, they're comprised mainly of cheap feeling, hard plastic." On the positive side, as some reviewers contend, overall assembly quality is fine on the Subaru Impreza WRX lineup. However, that doesn't necessarily reflect itself in terms of road noise. ConsumerGuide reviewers note that "the hatchback is particularly susceptible to wind, road, and bump noise." Subaru seems to recognize that safe, happy customers are loyal customers, so it's packed the 2009 Subaru Impreza WRX with the latest safety gear. Subaru has built its reputation on two factors: safety and performance. The 2009 Subaru Impreza WRX STi and WRX hatchback and sedan offer both in spades, and reviews read by TheCarConnection.com invariably praise the high crash-test ratings for these models. Few vehicles rate as highly as the 2009 Subaru Impreza WRX lineup when it comes to crash-test scores. The Subaru Impreza WRX earns the IIHS's highest rating, "good," in both frontal offset and side impact tests on its way to being named an IIHS Top Safety Pick for 2009. The IIHS cites the Subaru Impreza WRX's "good performance in front, side, and rear tests and standard electronic stability control" as the primary reasons for the award. NHTSA also bestows very high grades on the Subaru Impreza WRX STi and its WRX siblings; in NHTSA testing, the Subaru Impreza WRX earns perfect five-star ratings in both frontal impact categories and the side driver impact category, and four of five stars for the side passenger impact category. When it comes to overall safety ratings, crash-test scores are just one part of the story. In addition to its solid construction, the 2009 Subaru Impreza WRX boasts a number of standard safety features that work to keep occupants out of harm's way. Cars.com reports that "all Imprezas include an impressive array of safety features," including "standard side impact and side-curtain airbags, standard electronic stability system with traction control, standard antilock brakes with brake-force distribution and brake assist, [and] standard incline-start assist." ConsumerGuide mentions that an "antiskid system" is also standard on the Subaru Impreza WRX STi and WRX models. As noted in the performance section, all Subaru Impreza WRX vehicles come with standard all-wheel drive as well, which can prove invaluable during inclement weather. 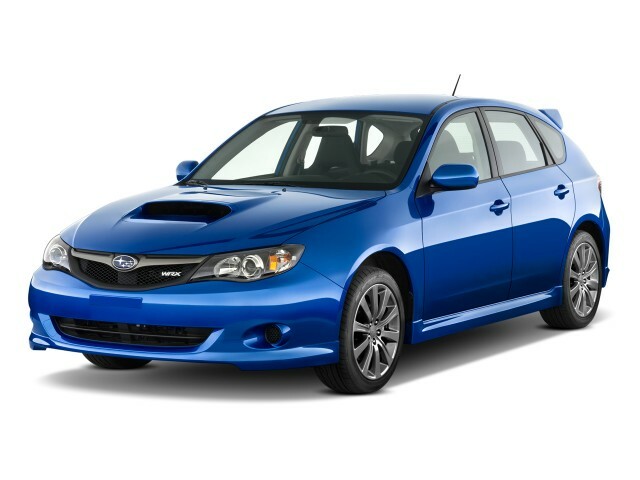 Now that a nav system is available, the 2009 Subaru Impreza WRX offers all of the most popular features and options. The 2009 Subaru Impreza WRX lineup is a bit pricey, even in base form, but reviews read by TheCarConnection.com indicate that you get a lot of bang for your buck. The standard Subaru Impreza WRX is, by most accounts, a pretty well-equipped vehicle. Jalopnik reviewers remark that the standard "Stereo with Aux input sounds pretty good...but you won't want to turn it on [since] it covers up the engine noise," which they happen to be quite fond of. ConsumerGuide lists some of the Subaru Impreza WRX's standard features, such as "automatic climate control, tilt/telescopic leather-wrapped steering wheel, digital-media player connection, [and] air conditioning," which you would expect on a car with a base MSRP well over $20,000. Other standard features on the 2009 Subaru Impreza WRX include full power accessories, an AM/FM/CD/MP3 player, and a trip computer. For those interested in the high-powered Subaru Impreza WRX STi, ConsumerGuide states that the standard features list grows to include "Leather/Alcantara upholstery, AM/FM radio w/in-dash 6-disc CD/MP3 changer, [and] steering wheel radio controls." The base stereo, according to Edmunds, features "80 watts stereo output [and] four total speakers," as well as "speed sensitive volume control." In addition to the standard features on the 2009 Subaru Impreza WRX, there is a lengthy options list that, while appealing, can drive the price north in a hurry. The major optional item, according to ConsumerGuide, is the "Satellite and Navigation Package" for $2,000 that adds a "navigation system, satellite radio, [and] wireless cell phone link" for Bluetooth-equipped phones. One of the more unique features of this setup, as noted by Jalopnik, is that, "with the navigation system, the center console provides an input for MP3 players as well as RCA-type video jacks that can accommodate portable gaming devices," which display on the navigation screen anytime the vehicle is parked. Edmunds lists other optional features for the Subaru Impreza WRX STi and WRX lineup as a "subwoofer/amplifier, and security system shock sensor" that come as part of Popular Equipment Group 4, while the Subaru Impreza WRX STi gets an "auto-dimming rearview mirror/compass with Homelink" as part of Popular Equipment Group 3. ConsumerGuide points to a "BBS Wheels Package," which adds "fog lights [and] unique alloy wheels," available for the Subaru Impreza WRX STi.